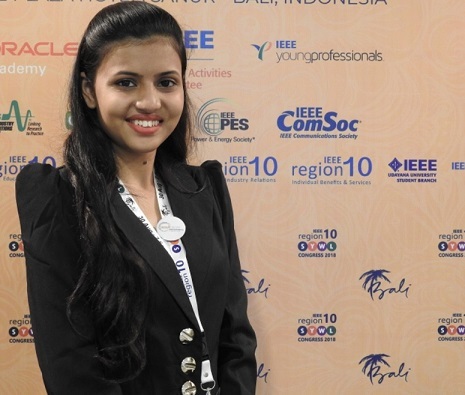 Savneet Kaur Chhatwal has been selected for the prestigious Richard E Merwin Scholarship of Computer Society. The Scholarship is in recognition of her exemplary involvement in student chapter activities and her willingness to act as a student ambassador. Sanveet is a third year student from GH RAISONI COLLEGE OF ENGINEERING NAGPUR( Cse Department). This entails her 1000 USD award and two years Computer Society Membership and Regional Student Ambassador assignment. We congratulate her on the achievement and wish her best luck .